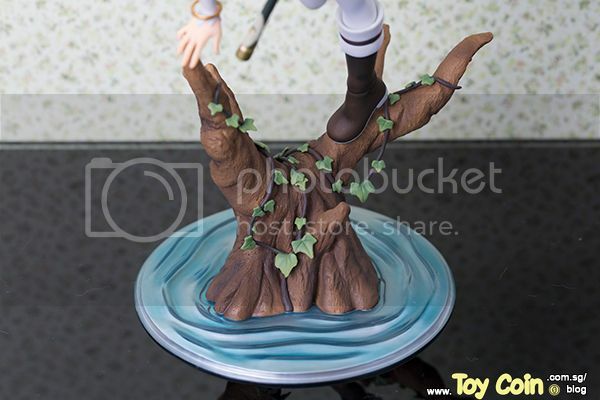 Sword Art Online Season 2 has just started but I’m already wondering whether we’d see more Asuna figures ^^; . 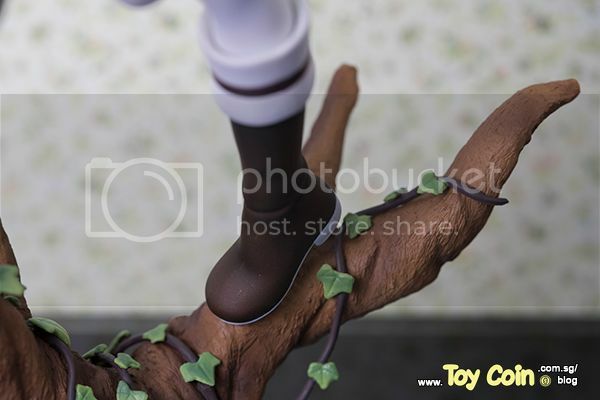 I’m pretty sure it wouldn’t hurt to see more figures of other characters being made. *hint hint* A certain.. MAIN LEAD *cough* Kirito *cough* would be nice. Anyway here’s a dose for Suguha fans. 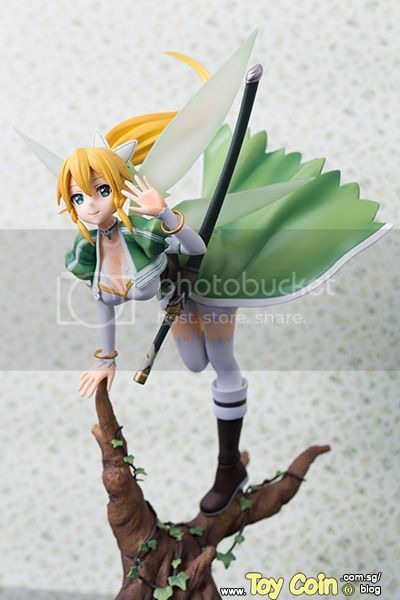 We are reviewing Leafa -Fairy Dance- by Kotobukiya today. I’m liking how this shoot turned out to be. I hope you enjoy the following pictures as much as I do! 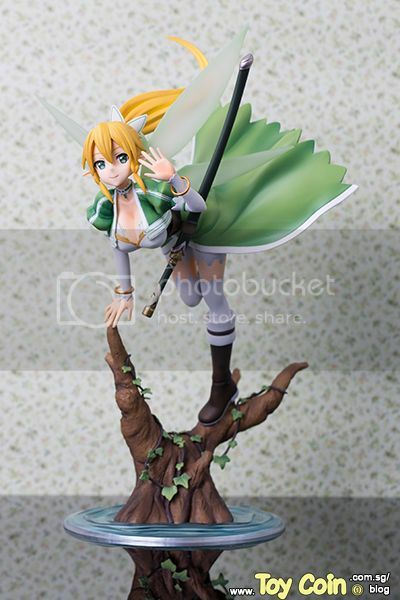 I’m not a big fan of Leafa but I’m impressed with how Kotobukiya made the Sword Art Online characters look so enchanting. We have also reviewed Asuna -Aincrad- previously (please don’t mind the pictures. It was one of my first posts & I was still trying out photography back then T_T). If put the both of them together, I’m sure they would look lovely. 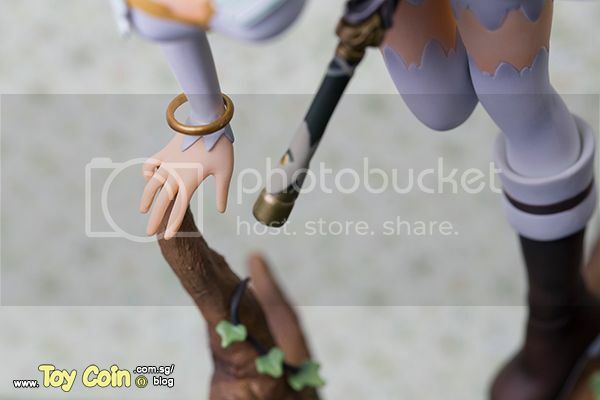 Back then, I had a lot of stock for Asuna. However, as quickly as they came, they were all sold during an event. 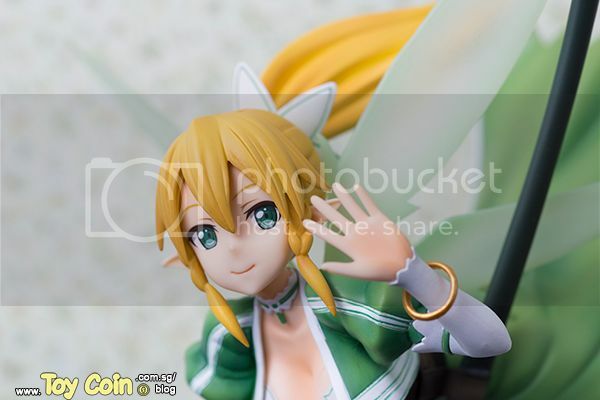 It’s rather hard to get your hands on one now and I’m pretty sure the same thing will happen to Leafa here. Her joints, as you may have guessed, are located on her left feet and right hand. That is how she is able to balance on the stand. I do wonder though, technically wouldn’t her right hand be in pain? She sure knows how to put up a brave front. As expected of a heroine. If I were in that position, I should be jumping around in pain by now. 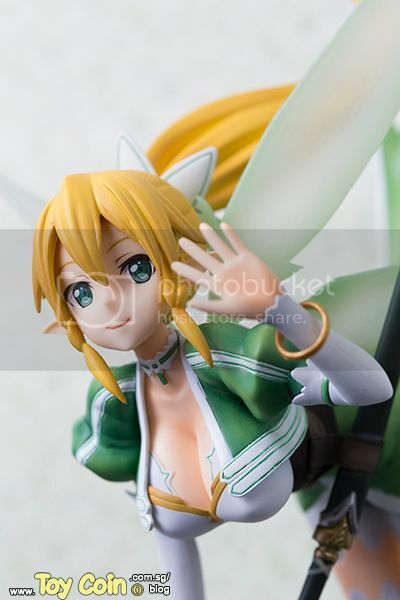 Hi guys you may call me Leafa. Don’t try to hit on me because I’m in love with my non-blood related brother, Kirito. Oh I love the wings! All four wings have to be attached manually. I love assembling stuff when it comes to figures. I love the cheap thrill of fulfilling that small sense of achievement. It pleases me thoroughly. She look like she’s falling off from the branch from this angle. Whoops! 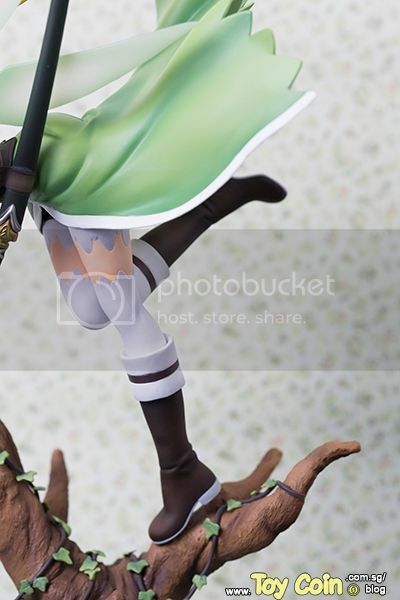 ^^; 気をつけてLeafa! Looking at the boots up close. I’m liking the colour shading on her outfit. Has a nice flow to it. I love the base too. 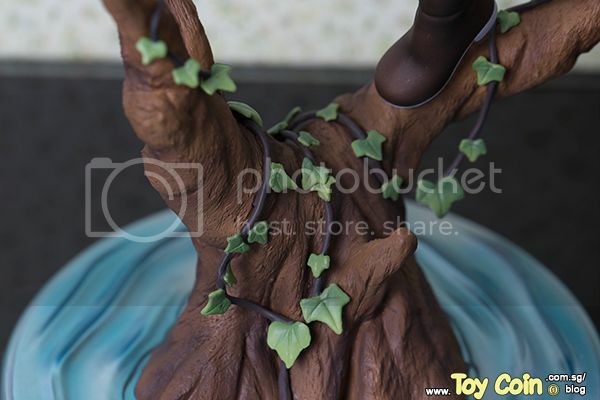 You can see how much effort & consideration Kotobukiya puts in making their figurines. 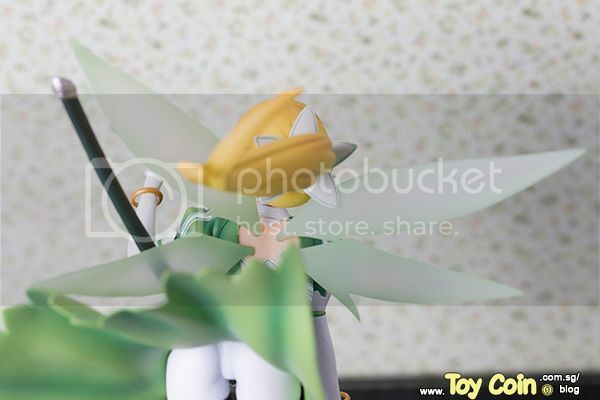 Instead of simply paying for a figure, you are actually paying a figure that look aesthetically pleasing on any desktop. I could stare at her dreamily until someone brings me back to reality by giving me a karate chop to the head. Ple.. please don’t take my picture.